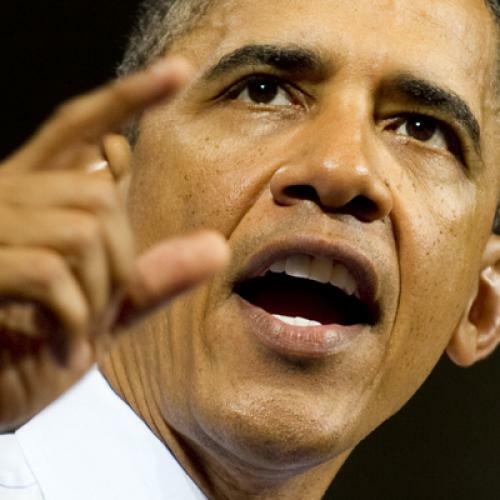 A week after introducing his jobs proposal, President Obama has hit a few obstacles. Republican leaders are criticizing the proposal more loudly than before. A failed green energy investment has much of Washington thinking scandal. And the polls still look pretty grim. So what’s Obama doing now? Exactly what he was doing before: Campaigning loudly, and insistently, for the jobs bill. That’s a really good thing – although he's going to need some help. And he's going to need it soon. The speech Obama gave last Thursday was everything it needed to be. It was bold, with Obama using it to introduce a jobs program large enough, and sufficiently well designed, to reduce unemployment. And it was straightforward. Obama made it clear he wanted action, now – repeating the phrase “pass this bill” over and over again. But Obama (almost) always gives good speeches. The most important, and most unexpected, development was what Obama did after the speech. He went on the road, conveying the same message, in Richmond, Virginia and then Columbus, Ohio – not coincidentally, near the home districts of Eric Cantor and John Boehner, number two and number one leader in the House Republican caucus. Speeches can’t alter the public debate. But sustained, focused campaigns can. That's how one begins. ...that the bridge starts in Ohio’s 8th congressional district (home to House Speaker John Boehner) and ends in Kentucky (home to Senate Minority Leader Mitch McConnell) makes it a nearly perfect example. By making infrastructure investments — investments that used to enjoy bipartisan support before the GOP slipped into madness — the Obama administration can repair the Brent Spence Bridge, putting locals back to work, and improving local transportation and commercial needs. More impressive still was the aggressive posture the administration maintained, almost without exception, for the week. On several occasions, reporters asked the president’s surrogates whether he would sign portions of the bill. They refused the rhetorical bait, and said only he wanted the whole bill to pass – and to pass now. Of course, Obama would sign portions of the bill. And he would compromise too. I’m virtually certain of that. But it appears he and his advisors believe they gain nothing by conceding ground now. But it won’t be enough. The only hope for getting something through Congress -- or making an effective political statement, if the Republicans block action – is to apply pressure. And that pressure needs to come from at least two other places. One is the grassroots. Obama’s performance over the summer – and, to some extent, from the beginning of his presidency – has frustrated and depressed supporters, who wanted him to be more aggressive. Well, now he’s being more aggressive. Are they making phone calls and emails to Congress? Are they getting involved in campaigns? As Greg Sargent notes, Moveon.org has gotten behind the effort (being led by Senator Jeff Merkley) to tie the super-committee effort to job growth. That's a good start -- but only a start. The other source of pressure should be the establishment – in particular, the media and business establishments. The broad, although hardly universal, consensus in both worlds is that this country needs a short burst of stimulus spending, to boost growth, followed by a lengthy dose of steady deficit reduction, in order to bring the budget into balance. It’s the approach both Ben Bernanke, head of the Federal Reserve, and Doug Elmendorf, head of the Congressional Budget Office, have implicitly endorsed in the last few weeks. But where are the coalitions of business leaders, whose livelihoods depend on growth, clamoring for this? And where are all the fiscal scolds, whom Obama has tried so hard to please by demanding (unlike the previous administration) that Congress pay for new initiatives and that long-term deficit reduction remain a goal? By refusing to engage more forcefully, and more pointedly, they empower and reward the Republicans who brazenly risked the nation's credit rating -- and who refuse to contemplate tax increases, making deficit reduction impossible as a practical matter. Maybe all of these people will speak out soon. Or maybe they’ve started to speak out already, and I haven’t noticed it. This much I know: Obama is doing his part to focus the debate on jobs, to pass legislation that can boost the economy, and to frame a clear political choice for the voters. In short, he’s leading. But even the best leaders need help from some followers.